As the European wind energy sector continues to expand but governments reduce support for new projects, global reinsurer Swiss Re’s Corporate Solutions unit is expecting the industry to shoulder a greater portion of weather volume risk, underlining the potential for innovative wind hedges and demand for capacity to rise. The renewable energy sector continues to expand and is expected to continue to do so, but with output being so reliant on weather conditions and with governments scaling back support for wind projects, the industry is going to have to take on more of the associated financial risks, widely known as weather risk volume. This is according to Swiss Re Corporate Solutions, the large primary commercial insurance arm of global reinsurer Swiss Re, who recently sponsored a new study that shows how support schemes for wind projects will protect just 6% of Europe’s wind energy capacity against market exposures by 2030, compared with 75% today. As a result, wind energy sector participants could face substantial losses to income in the future and lower cash flows if the wind doesn’t blow quite as expected, warns Swiss Re. The global reinsurer noted earlier this year that demand for risk transfer in the renewable energy production arena could be an opportunity for some, and with parametric or index triggers being suited to the risks, it represents an opportunity for the insurance-linked securities (ILS) space. The huge weather risk transfer opportunity for wind power was also highlighted by GCube Underwriting Ltd. earlier in 2017, which said a lack of efficient and effective weather risk transfer in the wind energy sector has resulted in stakeholders in the space being left with as much as $56 billion in untapped asset values, worldwide. 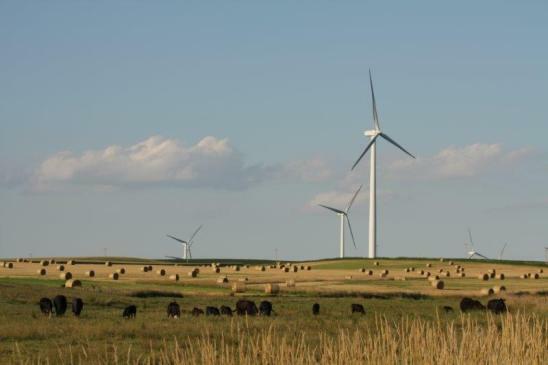 Wind hedges provide an innovative way around this dilemma, according to Swiss Re, reducing the uncertainty of variable wind production by transferring the risk from the producer to a hedge provider. The ILS fund marketplace has provided capacity to back weather derivatives and other weather index linked risk transfer or reinsurance arrangements, with the likes of Nephila Capital and Coriolis Capital being especially active in the weather hedging space for a number of years. The ILS market, together with the more traditional insurance and reinsurance industry, has an opportunity to provide adequate weather risk transfer to the wind energy sector, especially with regards to lower than anticipated wind speeds. According to analysis by Swiss Re, risk management services such as hedging could extract a value worth €2.5 billion for new wind assets installed over the next three years, which could increase to €7.6 billion for the next thirteen years.